by installing the new International Docking Adapter. 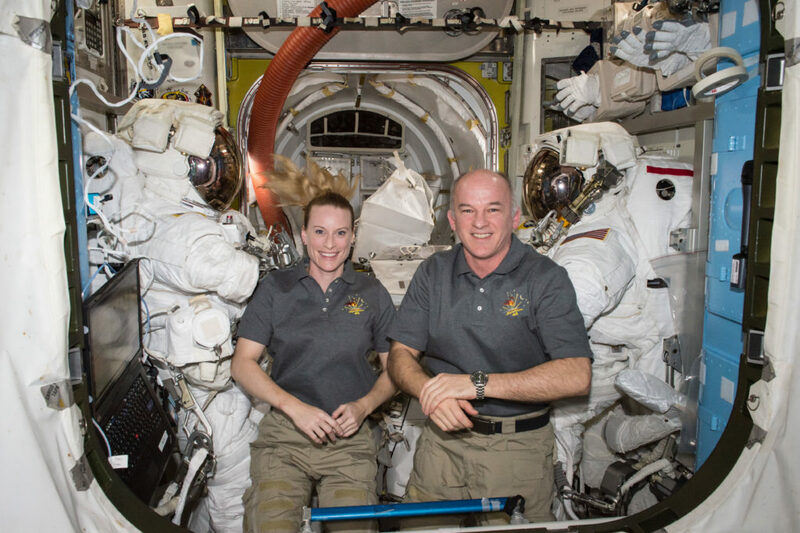 On Friday, Commander Jeff Williams and NASA astronaut Kate Rubins went for an E.V.A. 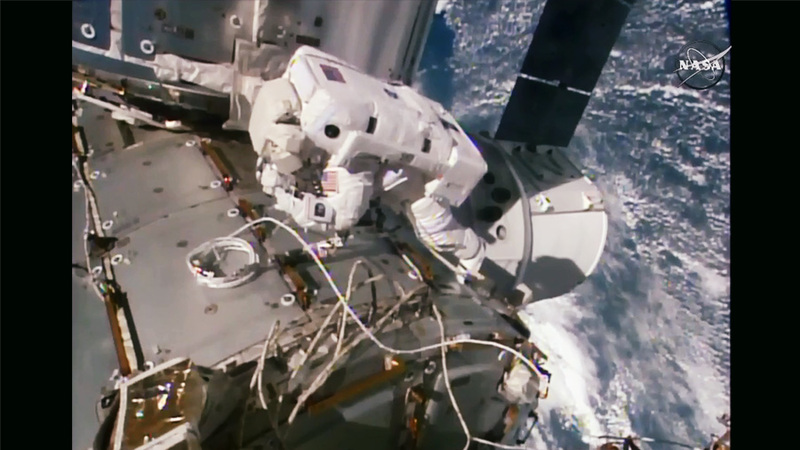 (extravehicular activity, a.k.a spacewalk) to install an International Docking Adapter. The adapter is a port that makes it possible to accommodate the docking of a number of different types of modern spacecraft. The SpaceX crew Dragon, the Boeing Starliner, and other types of manned spacecraft will be able to utilize the docking adapter to gain entrance into the station. The spacewalk took 5 hours and 58 minutes to complete (faster than the scheduled 6.5 hours projected for the installment.) The relative speed was abetted by the fact that the adapter had been maneuvered from the "trunk" of the Dragon spacecraft into its installation position via the Canadarm-2 robotic arm. Another similar docking adapter will be added to the station at a later date. Wonder what spacewalking feels like? NASA astronaut Doug Wheelock answered some questions on the topic on these spectacular strolls. "At the edge of the world installing the Int'l Docking Adapter. Other science this week included making observations on a physics study of particles suspended in water. This could be beneficial for possible materials sciences endeavors back on Earth,as the particles might find unique ways to align themselves thanks to the microgravity environment on the ISS. JAXA astronaut Takuya Onishi studied how microgravity would affect the genetics of mice. The cosmonauts kept busy as well, with Anatoly Ivanishin and Alexey Ovchinin working on a variety of experiments. They worked on a system that detects micro-meteorite impacts on the station, as well as how bacteria interact with viruses in space. Love everything about space? NASA has made its complete archives free to the public for perusal! Everything (except that which deals with possible issues of national security) is included, so you can expand your mind as far as the stars! "The last month has gone by quickly…full Moon again!" "Mount St. Helens looks spectacular from directly above! Great job, astronaut Rubins and Commander Williams! Good and valuable post! Thanks for sharing such informative stuff with us for our knowledge enhancement about the world that what i happening around us. I have captured a lot of information about the space station Sunday. NASA has played a role in this role. The spacecraft has been able to advance special inspiration to keep its exact goals.